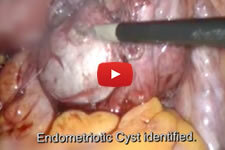 Does surgery improve pregnancy odds for women with colorectal endometriosis? 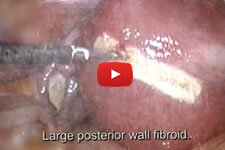 Is Adhesion a Type of Womens Cancer? Please click read more below to see obstetrics and gynecology services and current timetable for our clinic. Having completed his M.B.B.S in 1993, Dr. Vijayavel joined the Ministry of Health, Government of Malaysia for internship training at the General Hospital, Kuala Lumpur. Since then, he has served in various capacities as a medical officer in several government hospitals. In 1997, he was selected to undergo his post graduate training at the University of Malaya Medical Center. This is a National Referral Center in the Klang valley which consists of all sub-specialities in Obstetrics and Gynaecology. He completed the programme successfully in 2001 and was posted to Hospital Sultanah Aminah, Johor Baru till 2002. He then joined as a Clinical Specialist in Hospital Tengku Ampuan Rahimah, Klang. In 2004, he was awarded the "Excellent Service Award" from the Ministry of Health, Malaysia. In 2005, he joined the Ministry of Health sub-speciality training programme in Gynae Oncology and underwent one year training and clinical attachment at the Gynae Onco Unit of the Glasgow Royal Infirmary which is affiliated to the Beatson Cancer Center, Scotland. This is a tertiary referral center for West Scotland and Beatson Oncology Center is the second largest Cancer Unit in the United Kingdom. He worked under the supervision of Dr. Jonathan Andrew Davies, who was then the Head of Gynae Oncology in West Scotland. On his return, he was appointed as a Consultant in the Department of Obstetrics and Gynaecology at Hospital HTAR, Klang. In 2007, he underwent further training in Gynae Oncology at University Malaya Medical Center and returned to HTAR, Klang in 2008. He was instrumental in the setting up of a comprehensive Gynae Oncology Unit, consisting of chemotherapy, palliative care, outsourced radiotherapy care and special Gynae Oncology pharmacy facilities. 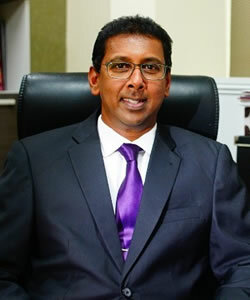 He has a keen interest in Gynae laparoscopic surgery and was the clinical coordinator for Gynae laparoscopic services. He has also contributed to the training of a large number of medical officers and junior clinical specialists at HTAR Klang. He has been a Visiting Consultant at Hospital Pantai, Klang and Sentosa Specialist Hospital. After serving the Ministry of Health, Malaysia for 19 years, he joined the KPJ Health Group and currently practices at KPJ Klang Specialist Hospital. Suite L3-307, Level 3, No 102, Persiaran Rajawali / KU 1, Bandar Baru Klang, 41150 Klang, Selangor Darul Ehsan. We are devoted to providing the full range of obstetrics and gynecology services.